I came across African Parks a number of years ago in my research for organisations that have got it right when it comes to conservation management. For those who don’t know, African Parks are a non-profit organisation who work with local governments and authorities in some of Africa’s most ecologically vulnerable areas, taking on direct responsibility for the rehabilitation and long-term management of these areas in partnership with the powers that be. Working in 15 different parks and across 10.5 million hectares and 11 different biomes, African Parks are responsible for the largest and most ecologically diverse area in Africa under the management of a single conservation organisation. The success stories are unending. For now, however, we limit ourselves to three: Zakouma, Chinko, and Akagera. Possibly among one of the more famous success stories, when African Parks took over management of Zakouma in 2010, 95% or 4000 of the elephant population had been killed by poachers in the last eight years. The elephants that were left were seen to significantly change their behaviour, forming one large herd, where its members stuck tightly together in an attempt to counter poacher separate-and-kill techniques. In 2011, there was only one elephant calf under the age of three in the whole park. Meanwhile, the local community was traumatised, poachers having executed resisting individuals. Since African Parks signed a lease with the Chadian government in 2010, only 24 elephants have been poached. At last count (2018) the number of calves has risen to 103. 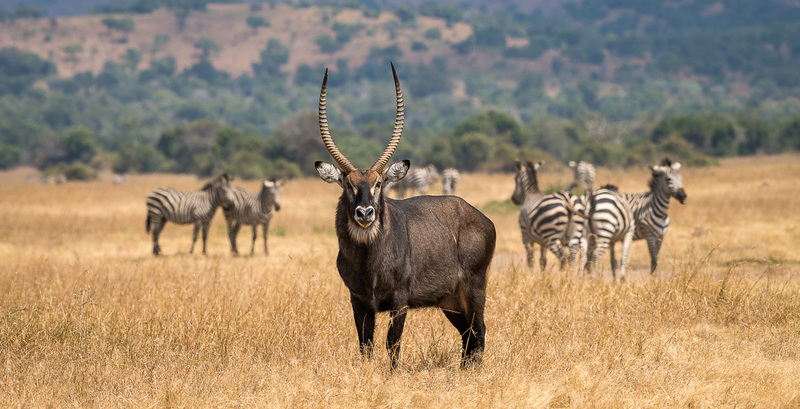 Many other keystone species have increased in population size dramatically, including roan antelope, the kordofan giraffe, and buffalo, the latter’s numbers rocketing from 220 in the 1980s to over 10,000 today. Zakouma has opened an elephant school, which has helped educate 1,500 children from the area. Airstrips and VHF radios have been installed in local communities so members can contact authorities if any illegal activity is spotted. Many people have been employed to manage the park and, as a result, the Zakouma has become one of the biggest employers in the region. Added to the above, one of my favourite parts is that, in 2017, more than 3,500 Chadian children have been able to visit Zakouma National Park. These children represent the next generation of conservationists and philanthropists. This, then is a huge investment given the number of young lives this is sure to inspire. The future of Chad’s conservation has never looked brighter. 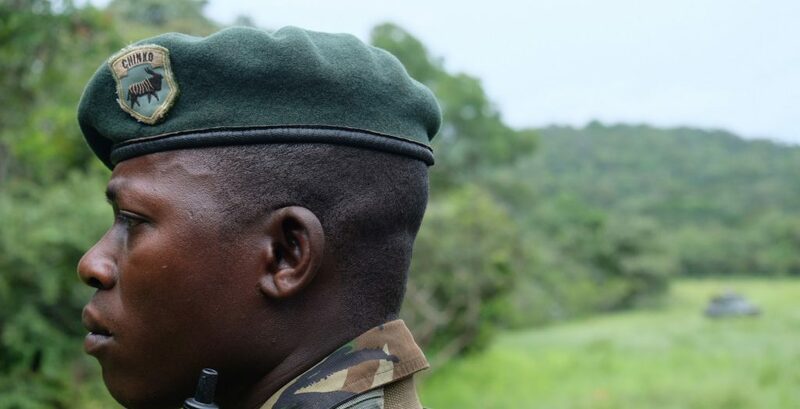 Chinko National Park is in the Central African Republic (CAR), which has been affected by the so-called for Bush War since 2004, after François Bozizé seized power and subsequent war broke out. The war has many different elements at play, but in effect it has resulted in nomad pastoralists clashing with farmers, Christians with Muslims, and rebels with the government. The 2018 Global Peace Index indicates that CAR sits at 155th out of 163 states included. Chinko is located in the south east and consists of wooded savannah and Congolese rainforest. As well as war, land encroachment, logging, poaching and illegal grazing all affect the park, and have resulted in decimated wildlife populations. A year before African parks took over, giant herds of cattle were allowed to flood the park and it was reported that around 95% of the fauna was lost. African Parks took on a on a 50-year lease in Chinko in 2014. Their first port of call was the training of rangers and staff, and beginning to shift the cattle out of the park. In order to keep peace, various cattle corridors have been created on the outskirts, as have non-lethal ways to protect livestock from predators. Since taking on the contract, cattle are found only on the borders of the park and have been replaced with herds of buffalo, hippos and hartebeest. Surveys have revealed signs of lion and elephant. The Lord Derby eland, endemic to CAR, is being monitored. Many have been radio collared and 11 herds have been recorded, one with 150 individuals. Added to the wildlife successes in the park, the project has proved the biggest tax payer in the eastern CAR and supports local people as the biggest employer in the region, as well as funding many doctors and nurses. The park also acts as a refuge for people. Last year 380 local people fled to the park from the civil unrest and were protected by its rangers, pictured above. After peace was restored in the mid-90s following the Rwandan genocide, many refugees returned to the country. Despite the new peace, people were desperate, the main challenge being survival, and turned to the forest in Akagera for fire wood and its wildlife for food. Livestock were grazed throughout, lion and rhino were hunted to local extinction, and tourism diminished to the point of the park having nearly no value at all. In 2010, African Parks took on management alongside the Rwandan Development Board. After years of preparation, lions were reintroduced to the park in 2015, followed by 20 eastern black rhinoceros. The lion population has now tripled. Last year two more males were introduced to increase genetic diversity. Last year, more than 37,000 tourists visited the park, half of them Rwandan nationals, and of these, 1,300 school children, visiting as part of the education programme. Altogether, tourism in 2017 was worth USD 1.6 million, making the park 75% self-sufficient in just seven years. So, there you have it. African Parks via three extraordinary success stories. Each paints a wonderful picture. There are many more, which I highly recommend reading through on their website. If you’re interested in visiting any of the aforementioned, please do get in contact.